Canna and Sanday. 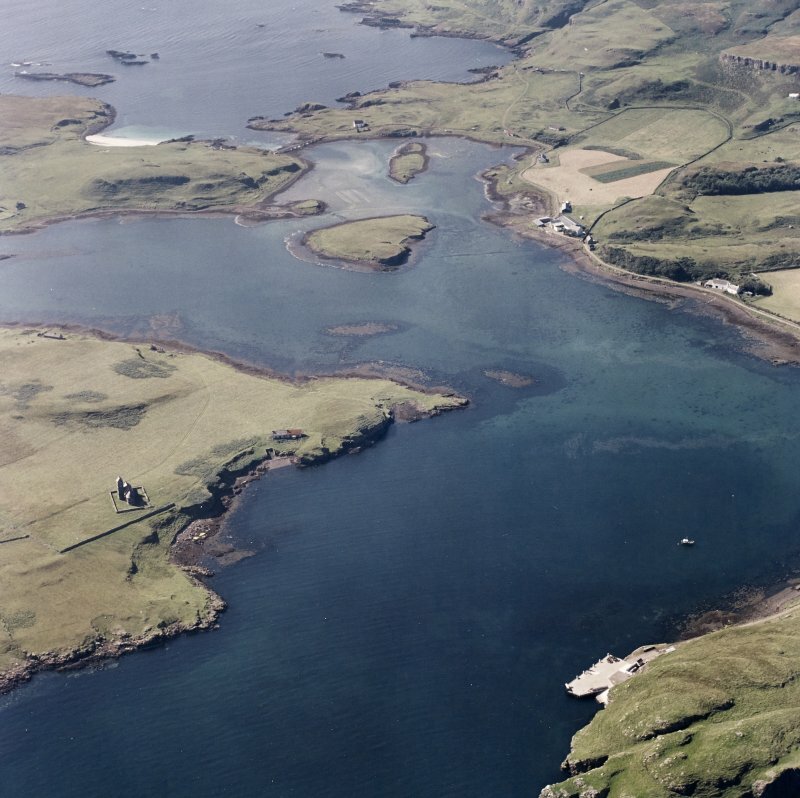 Aerial view of Roman Catholic Church of St Edward the Confessor and Canna Harbour, pier with nearby sites, buildings and monuments at Eilean a' Bhaird, Eilean Gille Mhartein, Changehouse, The Square, Camas an Ail, Greod, Cnoc an Tionail, Am Mialagan, Rubha an Feannag, Rubha nan Lion and Druim an Lochain. Sanday (Small Isles), Roman Catholic Church of St Edward the Confessor. Interior view from W end. 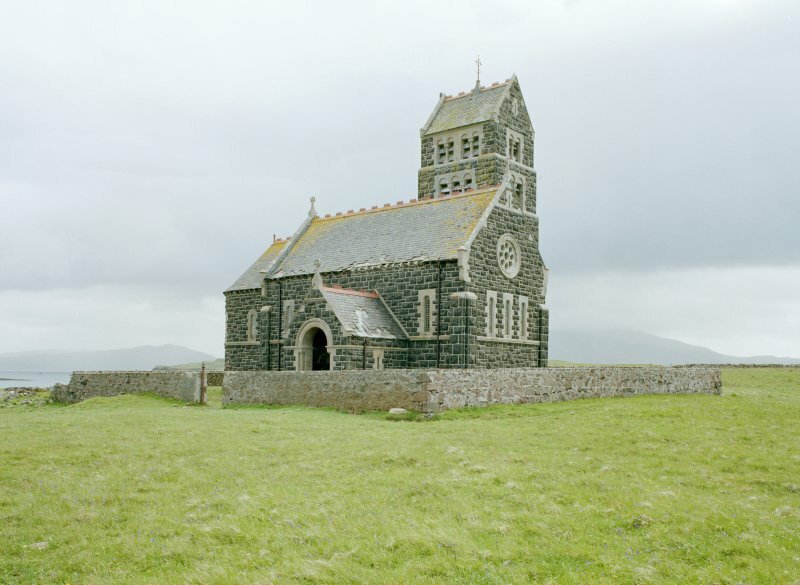 Scanned image of Sanday, Roman Catholic Church of St Edward the Confessor. 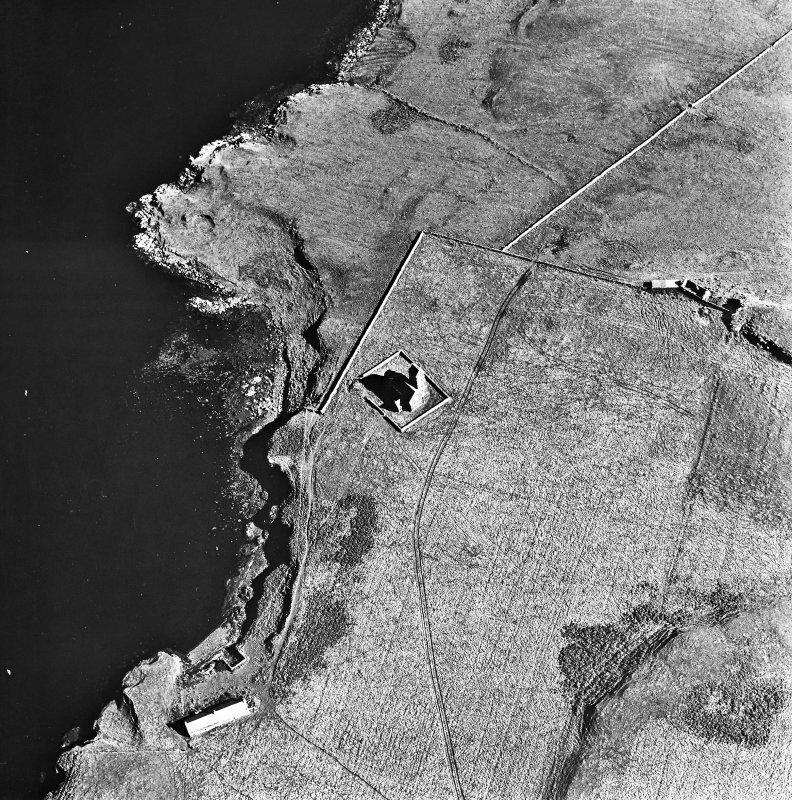 Sanday, Roman Catholic Church of St Edward the Confessor and Canna Harbour, Pier. 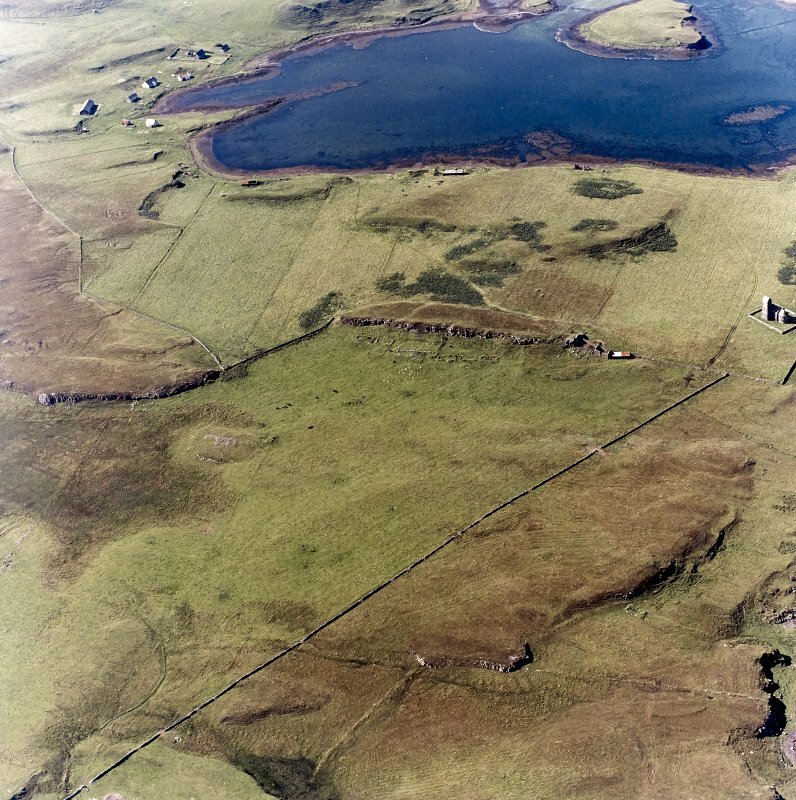 Aerial view, with nearby sites, buildings and monuments at Greod, Cnoc an Tionail, Creag Liath, Camas an Ail, Rubha nan Lion and Rubha nan Feannag. Sanday (Small Isles), Roman Catholic Church of St Edward the Confessor. 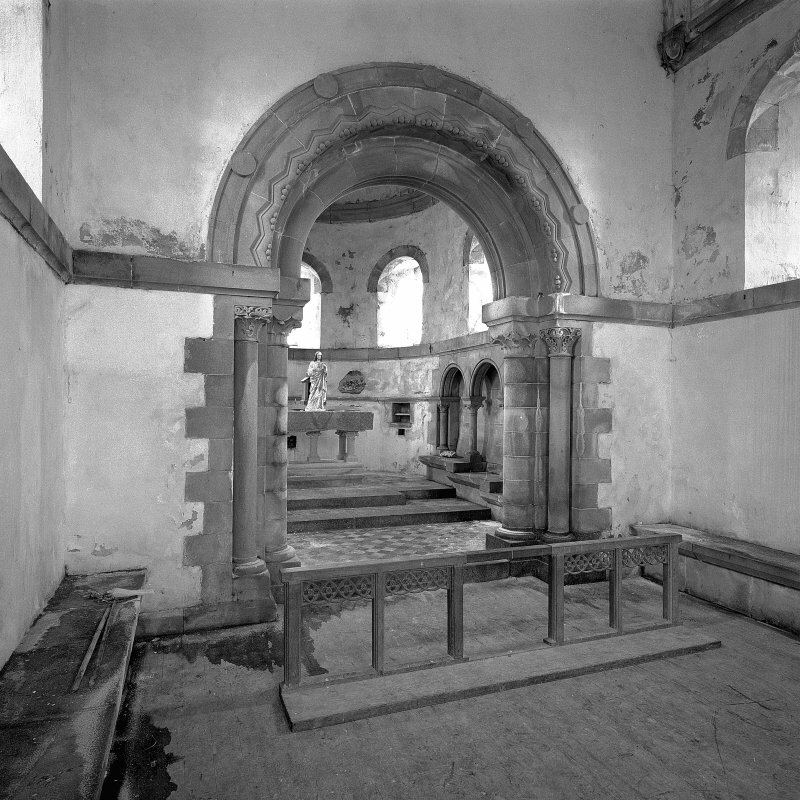 Interior view of chancel and chancel arch. Canna and Sanday. 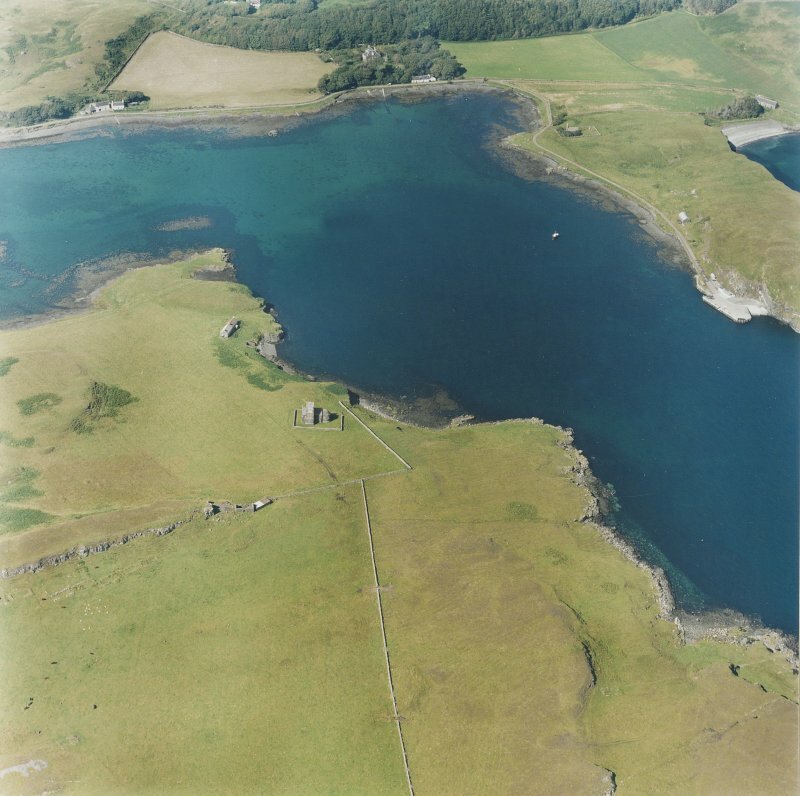 Aerial view of Roman Catholic Church of St Edward the Confessor and Canna Harbour, pier with nearby sites, buildings and monuments at Eilean a' Bhaird, Greod, Cnoc an Tionail, Am Mialagan and Creag Liath. Sanday, Roman Catholic Church of St Edward the Confessor. 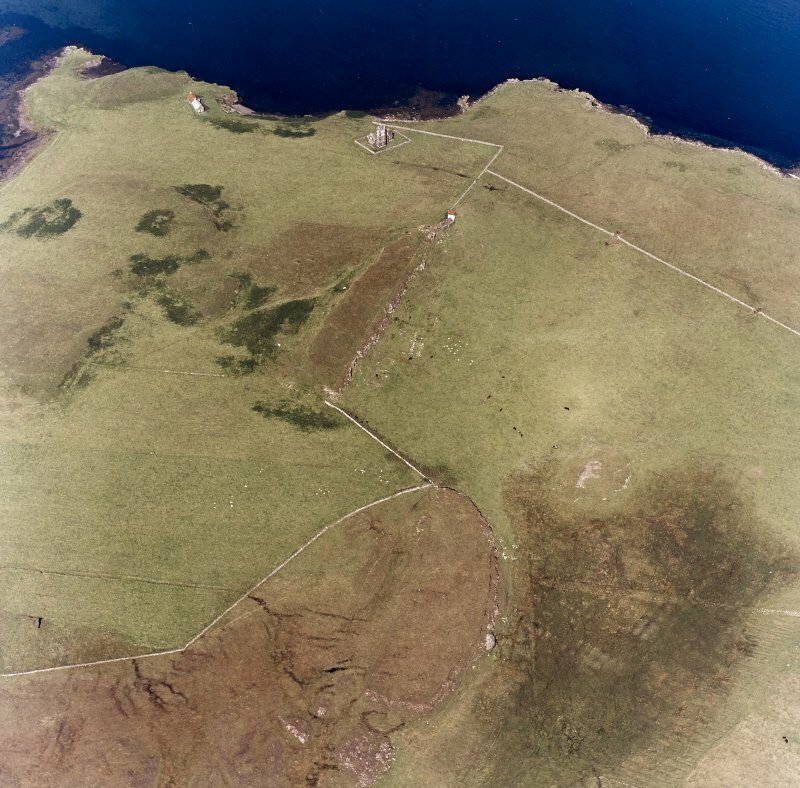 Aerial view, with nearby sites, buildings and monuments at Greod, Cnoc an Tionail, Creag Liath, Camas an Ail, Rubha nan Lion and Rubha nan Feannag. Sanday, Roman Catholic Church of St Edward the Confessor. 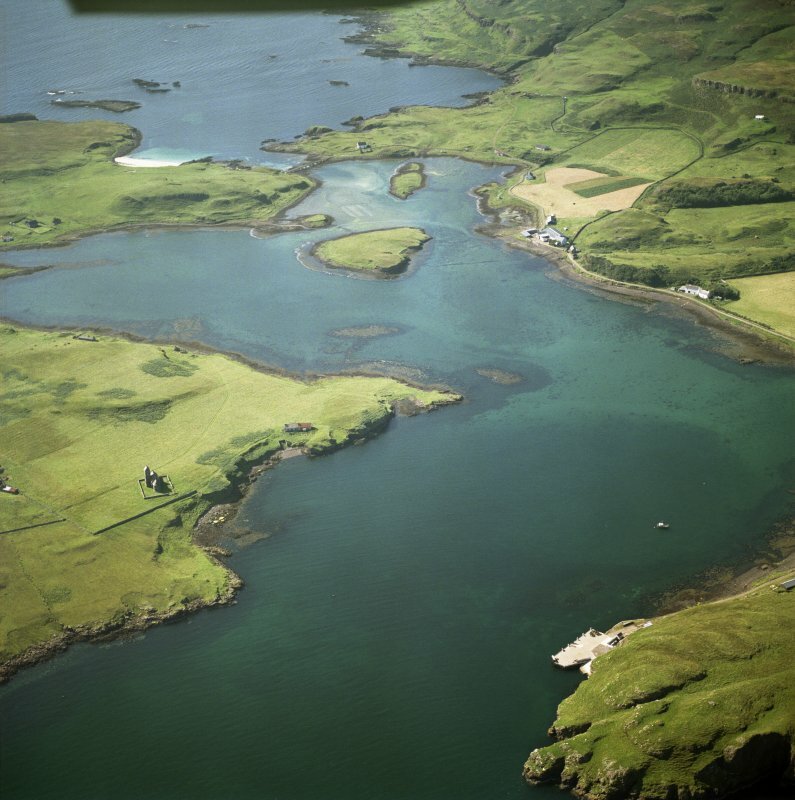 Aerial view, with nearby sites, buildings and monuments at Camas an Ail, Greod, Rubha nan Lion and Druim an Lochain. Sanday, Roman Catholic Church of Saint Edward the Confessor. 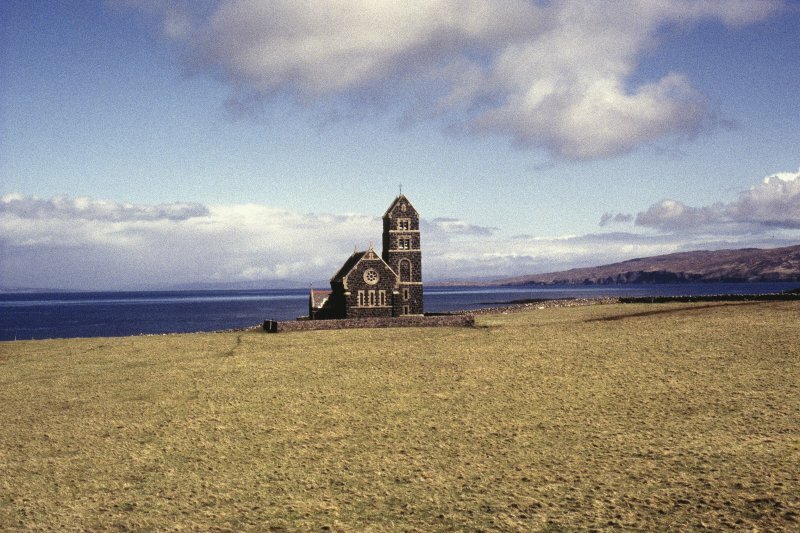 View from SW.
Sanday (Small Isles), Roman Catholic Church of St Edward the Confessor. View from NW. Former Church of St. Edward (RC), William Frame, 1886-90 Neo-Romanesque church with rose window, apse and saddleback tower, Burges-like in its tough, lancet style. Inside, crisp sculptural detail to nook shafts and capitals; a band of stone heads round the nave carved by Thomas Nicholls. The church was a gift of the Marchioness of Bute in memory of her father, Lord Howard of Glossop; it was restored and converted to a study centre by A.R.P. Lorimer & Assocs, 1999-2001. 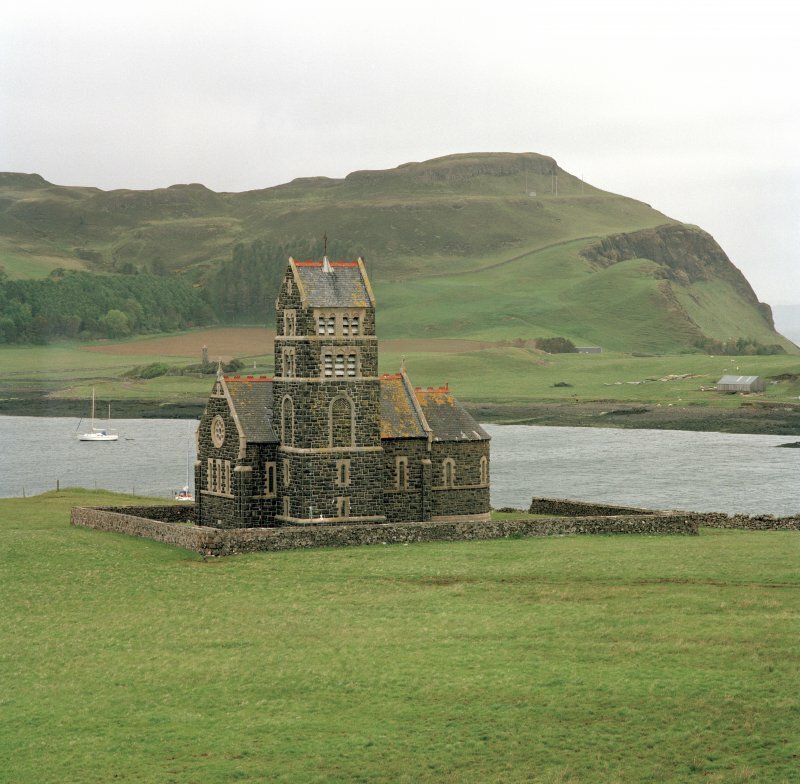 "Memorial Church of Isle of Canna. To visit and pass the work, and settle accounts May 1890. (Undated) typescript: information from Mount Stuart Archives. Disused. Designed by William Frame and built by the Marchioness of Bute as a memorial to her father, Lord Howard of Glossop, 1886-90. Boxy nave and chancel. Small roundheaded windows, the three in the W gable under a rose window. Saddleback-roofed S tower with a two-stage belfry. N porch. Inside, a neo-Romanesque chancel arch; bandcourse round the nave carved by Thomas Nicholls with the heads of knights, priests and acolytes. 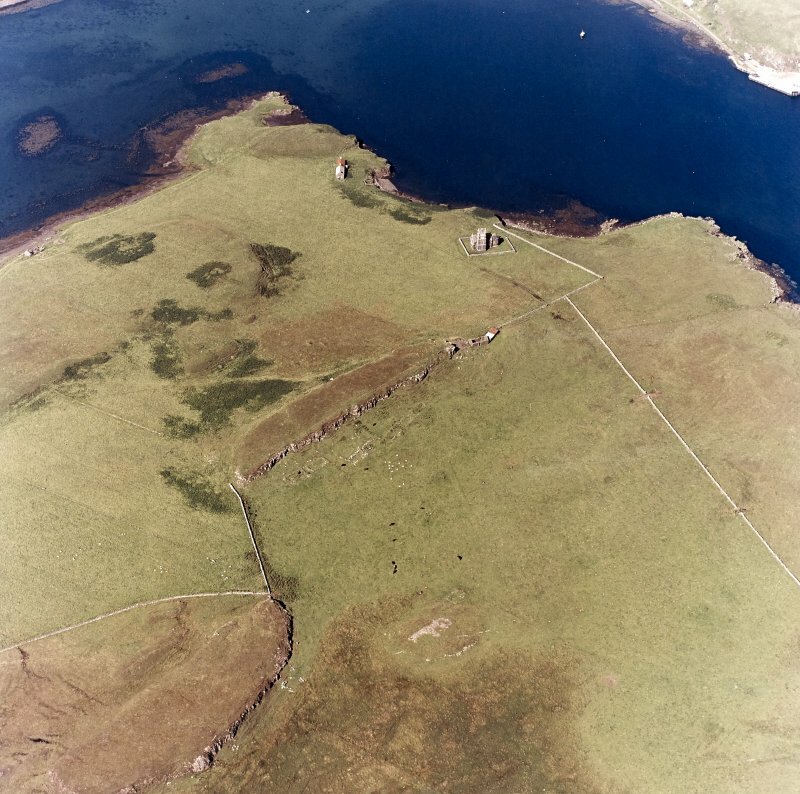 The site for a Roman Catholic chapel on Sanday was granted to the Marquess of Bute by Robert Thom, and lies on the S side of Canna Harbour opposite Canna House. The church is an imposing landmark and was built between the years 1886 and 1890 to a design by the architect William Frame. It was built by Lady Bute as a memorial to her father, Lord Howard of Glossop, and dedicated to St Edward the Confessor. The church has a semi-circular chancel at its E end, a three-storey rectangular tower with belfry at its SW end, and a gabled porch towards the NW end of the N wall. It is constructed of snecked coursed dark rubble with sandstone dressings and has a slate roof with decorative red ridge tiles; the ridge above the nave is terminated at either end by a stone cross. The windows in the nave and chancel are round-headed, the exception being in the W gable where there is also a rose window. The vents in the tower have louvres. Internally, there is a corbel course around the nave, carved by Thomas Nicholls, with five evenly spaced stone heads on each side. 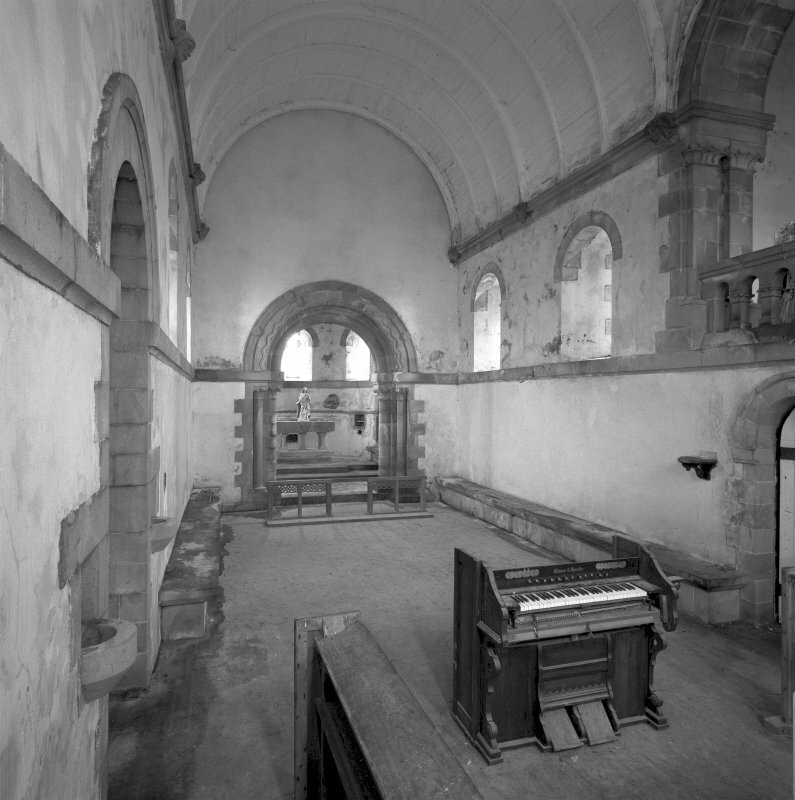 The communion rail by Robert Thompson still survives in front of the chancel arch, and the altar, square font and organ can still be seen. The building was closed in 1963, and is no longer used. Visited by RCAHMS (ARG), 14 August 1996. 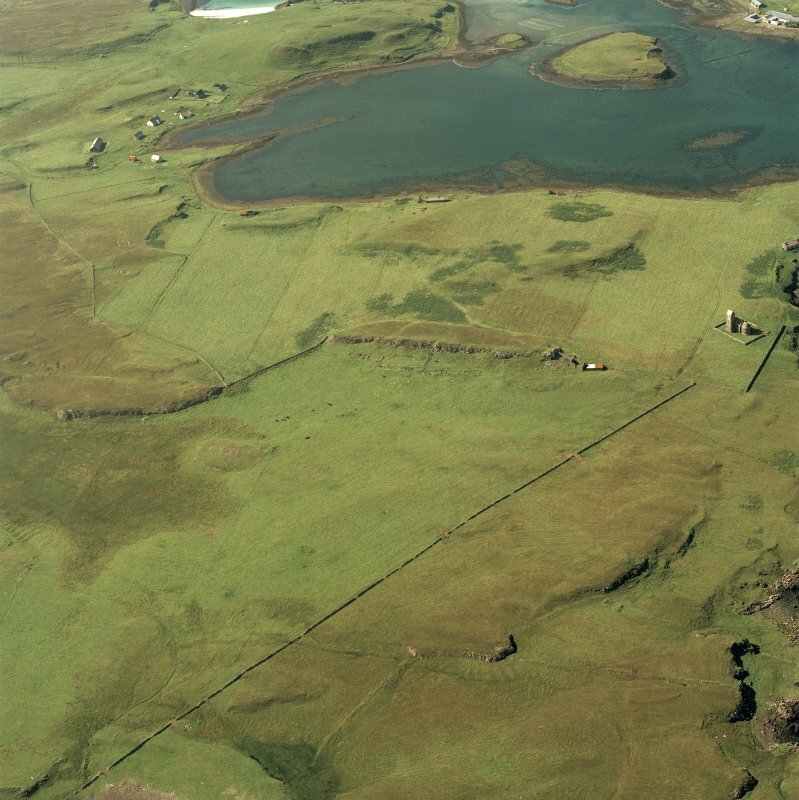 NG 2745 0490 An archaeological survey and small-scale excavation was conducted at the site of Point House, Sanday, Canna (NG20SE 70), in September 1998. The work was conducted in advance of conversion to accommodation. The nearby St Edward's Church (NG 2755 0480) was also to be affected by the development, and was also surveyed. Point House is a 19th-century rectangular domestic structure, comprising two separate buildings with a shared gable. 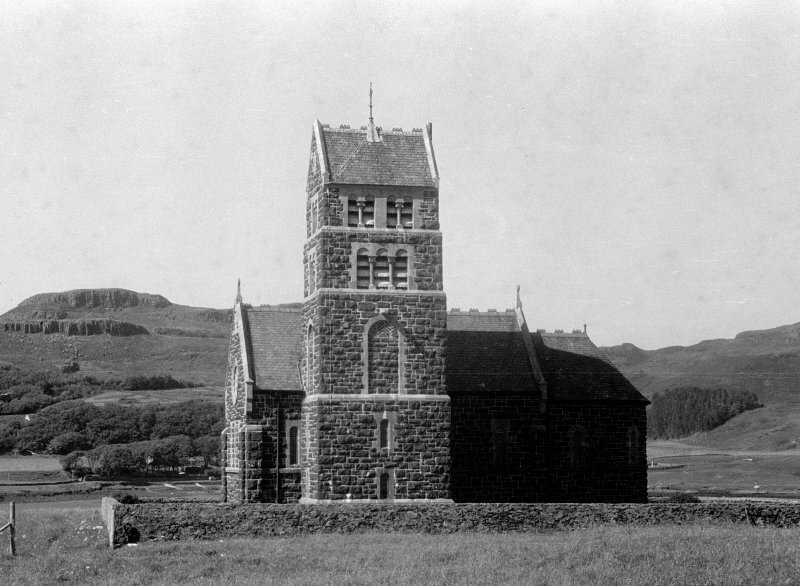 The church was erected between 1885-89, and is currently in a state of disrepair. The survey and excavation at Point House has elucidated the developmental sequence, with the southerly component originally being a free-standing structure. The N building was added, both structures apparently serving as domiciles for a period thereafter. Porch abutments were later added, and the roof replaced. The southern building was then abandoned, and turned over to use as a byre, while the northern building continued in use until relatively recently. The church is to undergo alterations which are wholly reversible, and the interior fabric was drawn, photographed and recorded prior to the commencement of the work. 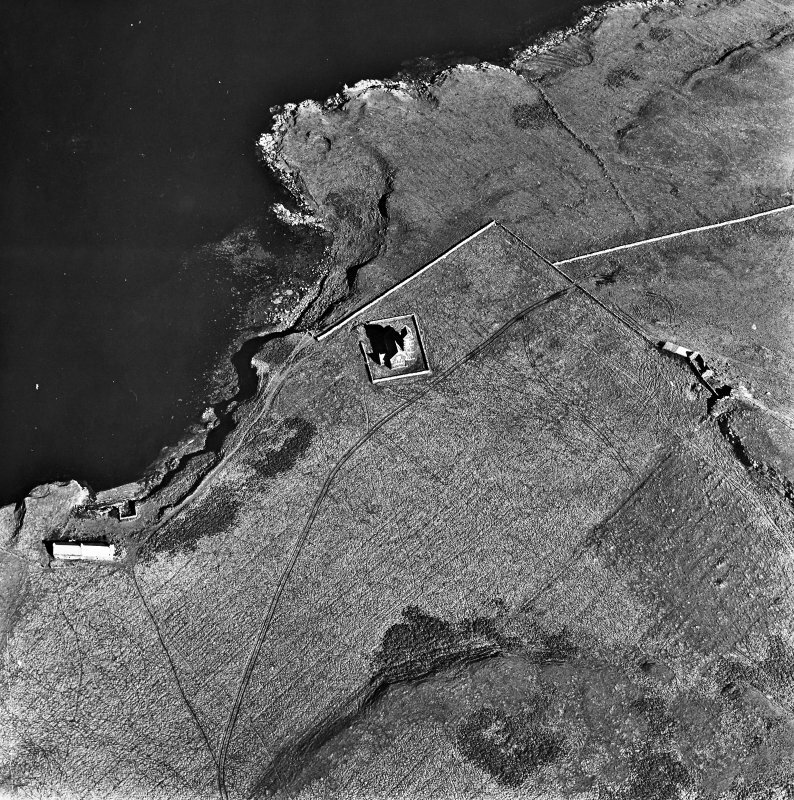 Photographs by the Scottish National Buildings Record in July 1955.